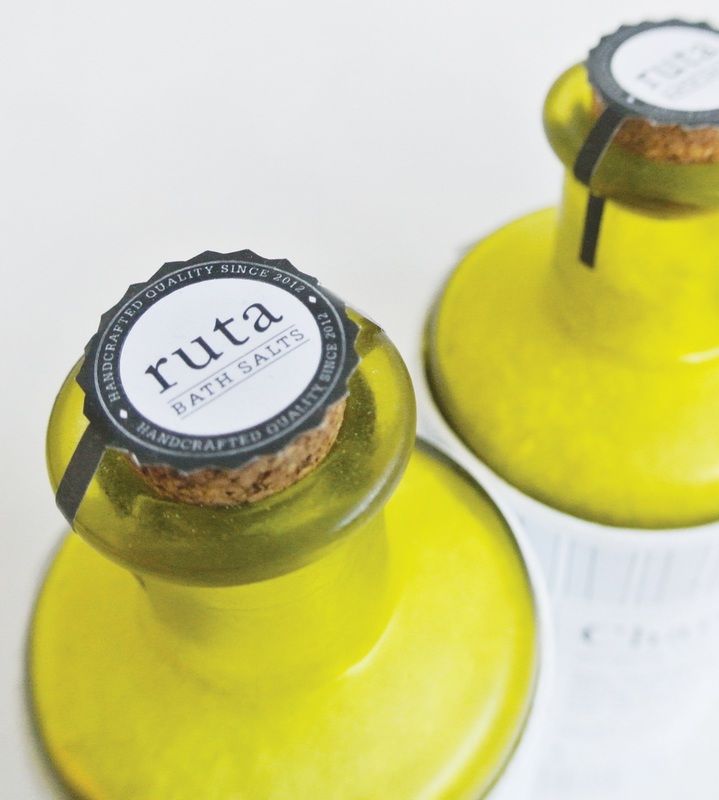 Ruta bath salts reflect the handcrafted quality of the product in sophisticated branding and packaging. The aromas are meant to be evocative of distant realms with each flavor holding to its own. The solution was inspired by both the early apothecary and their distant trade routes and trans-Atlantic passages. Each aroma is branded with pattern and folk history about where the aroma comes from, detailing how it was used. The logo evokes a historic stamp quality from sea-travel crates and air mail.